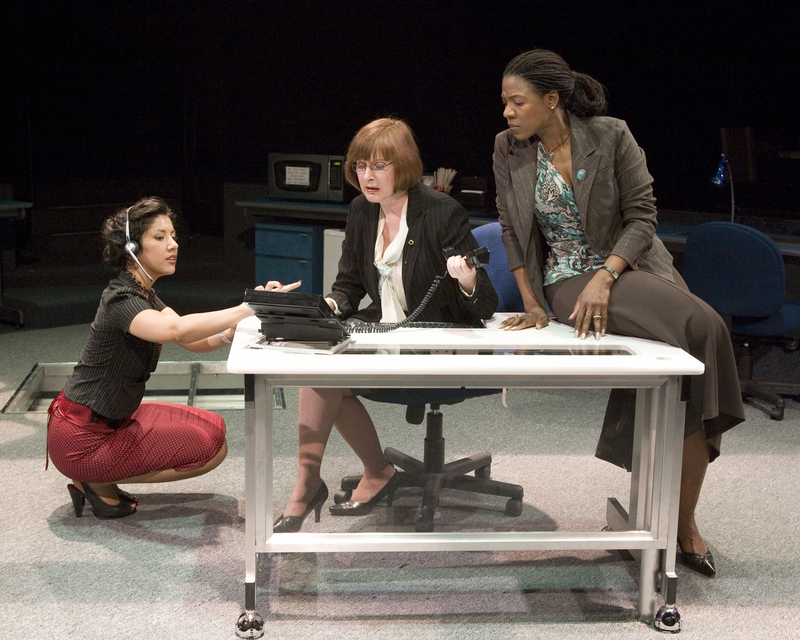 Kate Arrington (left) and Stephanie Beatriz in The Old Globe’s production of Hold Please, by Annie Weisman, directed by Kirsten Brandt, playing in the Cassius Carter Centre Stage March 31 through May 6; Photo by Craig Schwartz. (l. to r.) Stephanie Beatriz, Globe Associate Artist Kandis Chappell and Starla Benford in The Old Globe’s production of Hold Please, by Annie Weisman, directed by Kirsten Brandt, playing in the Cassius Carter Centre Stage March 31 through May 6; Photo by Craig Schwartz. 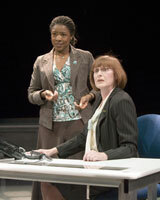 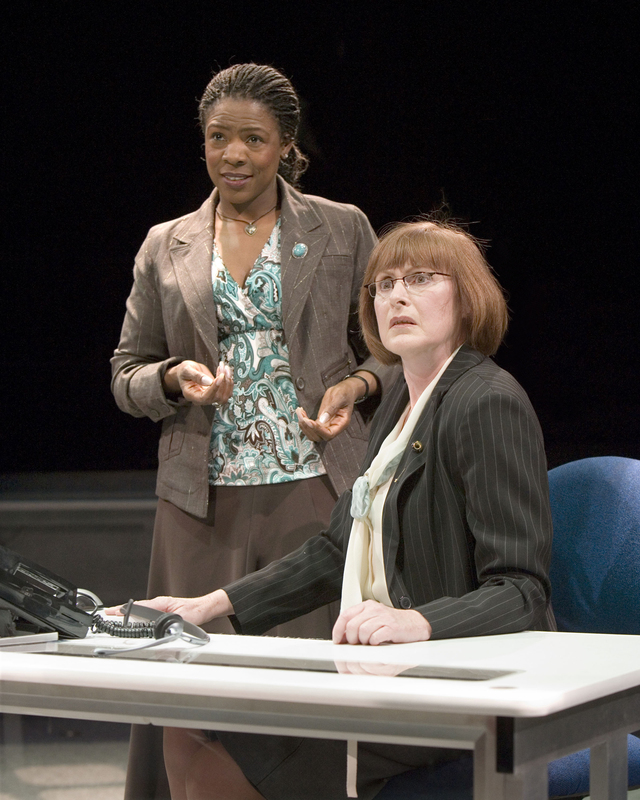 Starla Benford (left) and Globe Associate Artist Kandis Chappell in The Old Globe’s production of Hold Please, by Annie Weisman, directed by Kirsten Brandt, playing in the Cassius Carter Centre Stage March 31 through May 6; photo by Craig Schwartz.